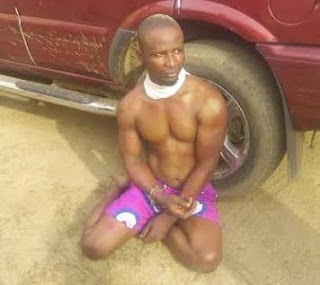 38 year old Rasheed Ajibade, an Alfa, who was apprehended with Human parts including a decapitated head at Olu-Ode area of Osun state on Wednesday June 7th, says he planned to use the parts for money rituals after the Ramadan fast. Rasheed who spoke with newsmen at the state police command in Osogbo where he was paraded, said his client was the one who provided the human parts for the money ritual. He denied being involved in the killing of the yet-to-be identified woman.